Inspired by the classroom and classic British design, the Haywood range is an equal mix of hip and high end. Reminiscent of vintage school classics, it really encourages you to knuckle down and work. 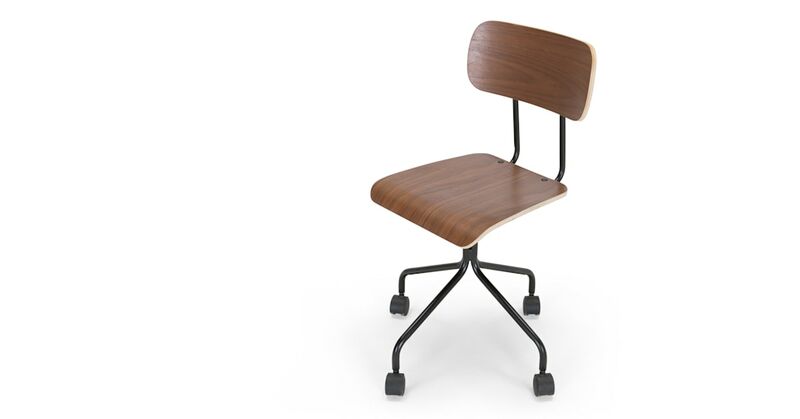 There’s no messing around with a Haywood office chair. Naturally stylish, solid wood veneers with a clear lacquer finish lets the wood speak for itself. Powder coated metal legs are sturdy and strong.